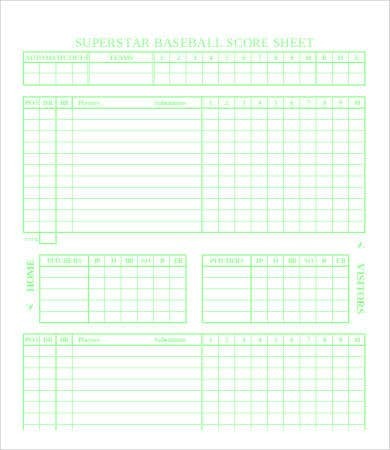 Score sheets or scorecards are used to record a baseball game. 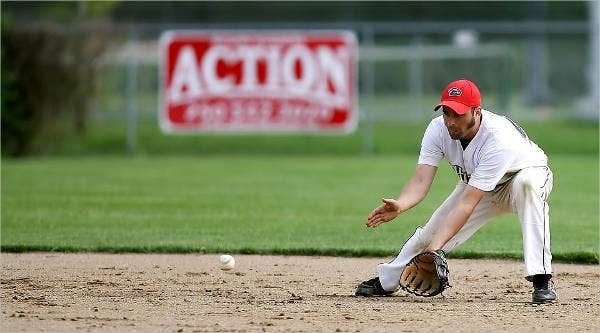 It is a great way for any fan of the game to be more involved with the play and the results. 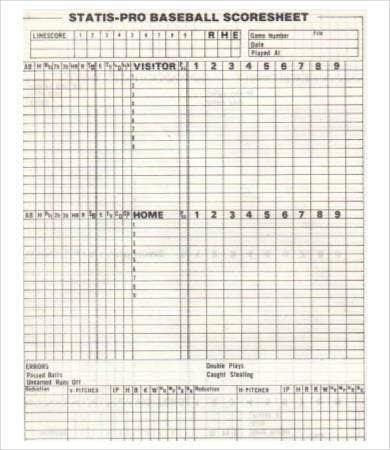 The tradition of tracking the live game and making notations on a Score Sheet Template goes back to the earliest days of baseball history and is still being used today. 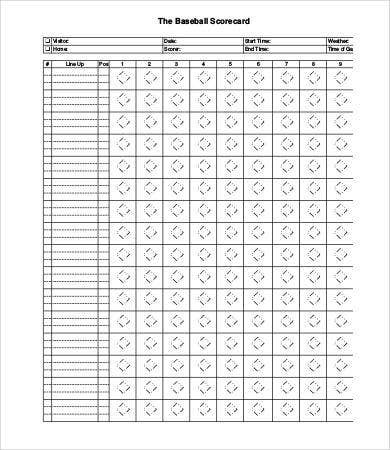 If you are looking for an instantly usable score sheet for a game—be it for your school, a family event, or the next local game–check out this list of PDF scorecards you can download and print for free. 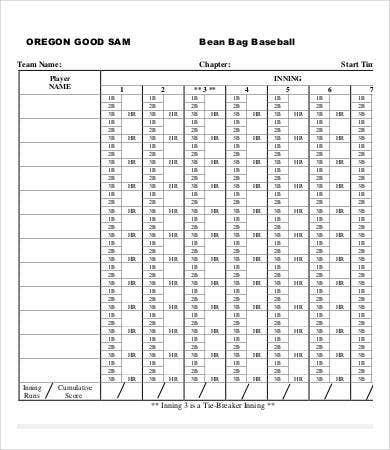 If you attend a baseball game, chances are you’d find vendors selling official and unofficial scorecards along with the peanuts and hot dogs. These cards are key elements in the overall experience. More than recording the score, a well-detailed scorecard records the story of the game. A fan can easily be more engaged and invested with the game, learn to appreciate it more, and, someday in future, can glance through the notations on an old score sheet and replay the whole event in their minds. 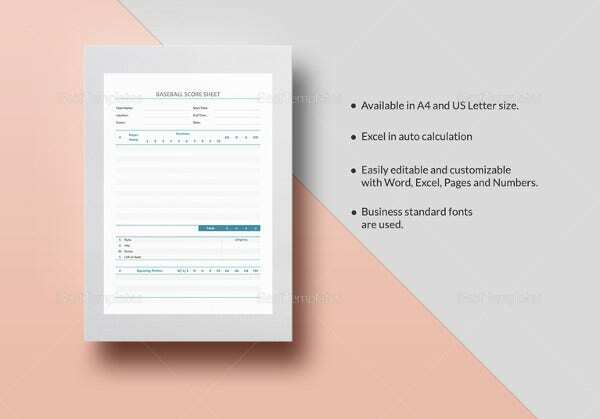 If you don’t want to pay a few bucks for an official score sheet that comes with the program, create your own or download one from this page. If you miss that, you won’t know later on what game this is for. 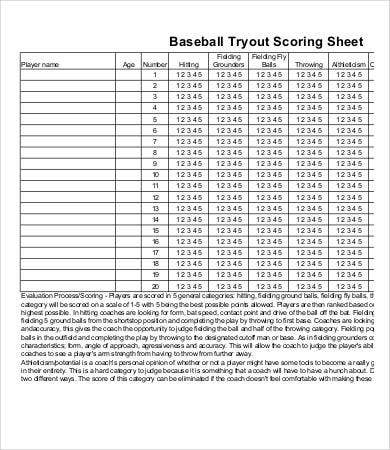 Some scorecards may also read as an Instruction Sheet Template or a Run Sheet Template, but don’t count on that. Learn a scorecard shorthand code beforehand, if you haven’t already. Some people develop their own notation codes, but there are standard ones you can learn. 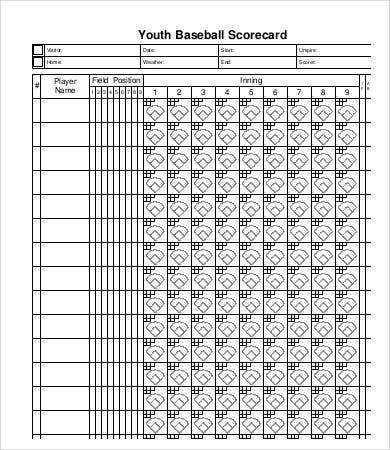 A baseball scorecard will often feature a diamond to indicate the field. You then trace on this diamond the line denoting a hit and where the ball goes. 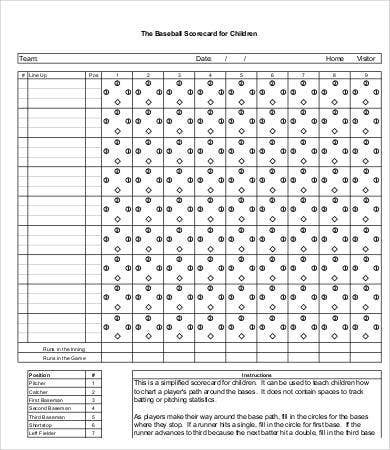 Fill in the diamond if the batter scores. Marking the diamond/field is a little more complicated, and there are many sports fans and experts who have guides online detailing on their way of doing this. A scorecard is a way of keeping track of what “goals” were scored and what were missed; it is the game play opposite of the Goal Sheet Template. It is also a way to keep your head in the game and pay attention to the important details. You don’t want to have a scorecard that later just reads “I didn’t pay attention,” although that might be a good story to tell as well.